Washington, DC, April 1, 2011 - Marking the one year anniversary of the tragic accident at the Tesoro Refinery in Anacortes, Washington, the U.S. Chemical Safety Board (CSB) released a video safety message in which Chairperson Rafael Moure-Eraso urges refinery companies to "make the investments necessary to ensure safe operations," concluding, "Companies that continue to invest in safety and recognize its importance will reap benefits far into the future." The video highlights the CSB's ongoing investigation into the April 2, 2010, accident that killed seven workers. 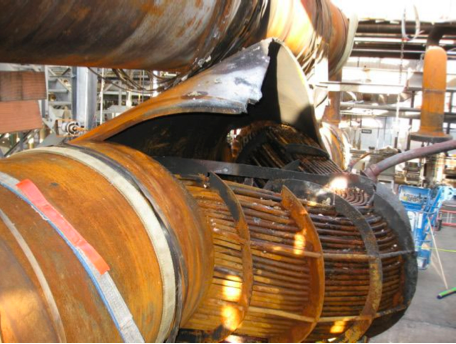 At the time of the incident a heat exchanger was being brought online when the nearly forty-year-old piece of equipment catastrophically failed, spewing highly flammable hydrogen and naphtha which ignited and exploded. The CSB is an independent federal agency charged with investigating serious chemical accidents. The agency's board members are appointed by the president and confirmed by the Senate. CSB investigations look into all aspects of chemical accidents, including physical causes such as equipment failure as well as inadequacies in regulations, industry standards, and safety management systems. The Board does not issue citations or fines but does make safety recommendations to plants, industry organizations, labor groups, and regulatory agencies such as OSHA and EPA.